1 million Euros stolen from Disneyland Paris tourists by Romania pickpockets. Seven women and five men, most of whom are Roma people from Romania who were sending their children to steal from tourists’ pockets in the Disneyland Paris area, will stand trial in France for allegedly being involved in a criminal network, according to AFP, reports local News.ro. As previously reported in February, the gang is believed to have stolen around 1 million euros worth of foreign currency, luxury jewelry or phones from tourists. However, the total damage is not known for sure as many foreign victims have not filed a complaint. A thousand thefts were recorded in six months. The investigation was opened in 2015 when the Chessy Commissariat in Seine-et-Marne found a strong increase in thefts and robberies committed by young Roma near Disneyland Paris and the Regional Express Train (RER) network that serves the resort. The pickpockets were also present in the Val d’Europe commercial center. The minors were stealing from people’s pockets in broad daylight, acting in groups of three or four, said Commissioner Jérôme Georges. One of them was distracting the victim while a second one was stealing from his pockets. A third one was in charge of making the stolen goods disappear. Marian Tinca, 57, and his former wife Maria Iamandita, 51, both of them from Craiova, were leading the gang. The French court’s ruling is expected on Friday, reports local News.ro. some of the defendants risk up to 30 years in prison. After weeks of rumours and speculation Disneyland Paris finally published their Halloween press release yesterday evening. 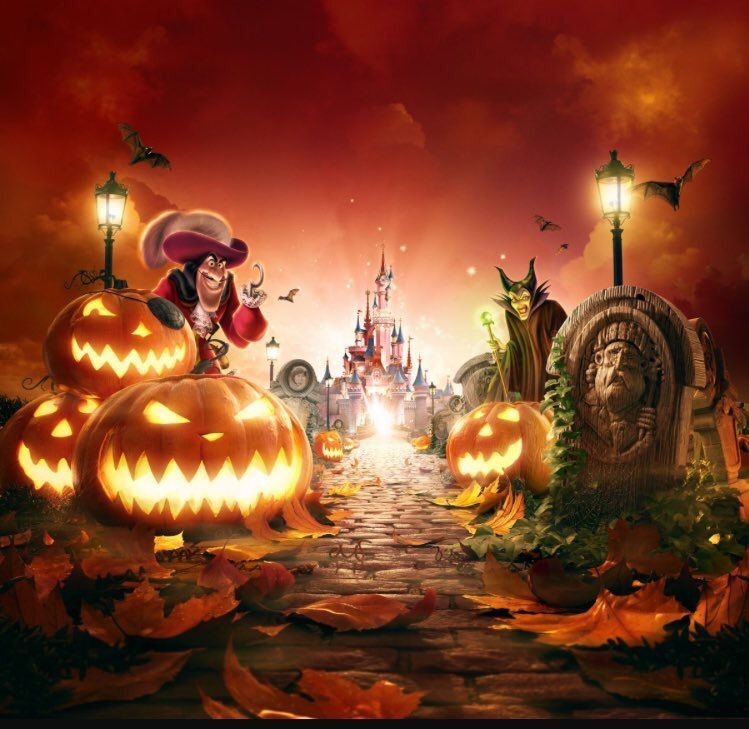 Sadly some of the rumours circulating appear to be true and this years Halloween season will be a cut down affair with no Halloween Cavalcade or Disney Villains show to entertain guests during the resorts spooky season. Want to meet the Disney Villains you love to hate? The Disneyland Park will delight you with an all-new, previously unseen parade: Mickey’s Halloween Tricycle Gang. Happening every day on Main Street, U.S.A, Disney Villains and many other Disney Characters will entice you along the Halloween spirits’ route, perched on their quirky tricycles. Jafar (Aladdin) and Captain Hook (Peter Pan) will also be there, in Adventureland, and Cruella (101 Dalmatians) will be making an appearance at the Walt Disney Studios Park. Come to Disneyland Paris from 1 October to 5 November 2017 for a new season and twice more fun with Halloween and Goofy’s Skeletoon Street Party. More information available soon on news.disneylandparis.com. From October 2017 Disneyland Paris will see drastically reduced park opening hours for Disney Hotel guests when changes to the resorts Extra Magic Hours are introduced. ‪From 1 October 2017 the changes will see Extra Magic Hours reduced from two hours to one, but will see both the Disneyland Park and Walt Disney Studios open at the resort between 09:00 – 10:00 exclusively for Disney Hotel guests and Annual Pass holders. In the Disneyland Park five attractions in Fantasyland will be open: Le Carrousel de Lancelot, Dumbo the Flying Elephant, Peter Pan’s Flight, Mad Hatter’s Tea Cups and the Princess Pavilion. At the Walt Disney Studios – Park Ratatouille: The Adventure and Crushe’s Coaster will be operating. Previously the Disneyland Park was open from 08:00 – 10:00 for Disney Hotel guests. With the general admission allowed into Main Street U.S.A. at 09:30 and the Walt Disney Studios Park opened to guests at 09:30. This gave onsite Disney Hotel guests the benefit of two hours additional park time each day. The news of the reduction in EMH hours has caused considerable concern and outrage to many Disneyland Paris fans and holiday makers, who have already booked their holidays at the resort. With many complaining that they are effectively loosing four hours Park time during a five night say. The recent decision to remove hotel breakfasts from the cost of standard rooms in Disney hotels and now the reduction in EMH will surely make many guests consider the benefits of staying at a onsite Disney Hotel in the future. Especially when much cheaper partner hotels are just a free shuttle bus ride away. The reduction in EMH are the first major budget cuts seen at the resort since The Walt Disney Company took control of Disneyland Paris in June 2017 after they were successful in their Cash Tender Offer, squeezing out the small minority shareholders of Euro Disney S.C.A. With persistence rumours of reduced Halloween and Christmas seasonal entertainment offerings at Disneyland Paris this year, many fans and regular guests have started to worry that the much hyped takeover of the loss making Paris resort by The Walt Disney Company which many fans had hoped would see major investment and improvements to the parks may not materialise. 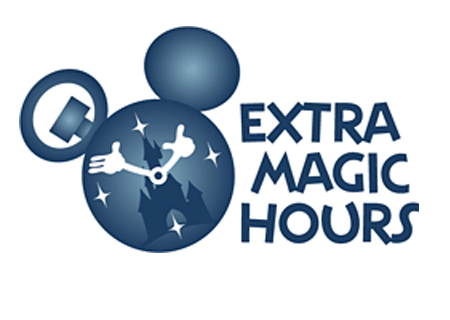 Unfortunately this does appear to be the case, and the introduction of these reduced Extra Magic Hours I fear are just the start of major budget cuts at Disneyland Paris. TWDC FY2017 Q3 results sees an increase in attendance at Disneyland Paris. Yesterday The Walt Disney Company released their third quarter earnings for the fiscal year 2017 and the full FY2017 Q3 results can be downloaded here. The opening statement and the section concerning the Parks and Resorts division which will be of interest to Disneyland Paris fans and ex-Euro Disney S.C.A. shareholders are reproduced below. The total revenue of the Parks and Resorts division was $13,748 million in the nine months ending 1 July 2017, a 9% increase upon last year, and the divisions operating income was $3,028 million an increase of 17% on least year. TWDC are reporting operating income growth at Disneyland Paris with higher guest spending and attendance, partially offset by higher costs for new guest offerings (shows and parades), including the 25th Anniversary celebration. The increase in guest spending is primarily due to higher average ticket prices and increases in food, beverage and merchandise spending. TWDC also reported a 6% decrease in net income, dropping to $108 million which was attributable to noncontrolling interests for the quarter driven by the impact of lower net income at ESPN, partially offset by the impact of improvements at Shanghai Disney Resort and Disneyland Paris. The Net income attributable to noncontrolling interests is determined on income after royalties and management fees, financing costs and income taxes. Anniversary years at Disneyland Paris normally see an increase in visitors which then fall off, a similar spike happened during the 20th Anniversary celebrations which were extended to take advantage of the increase in visitor numbers. Whether Disneyland Paris can continue to attract higher visitor numbers once the 25th Anniversary celebrations have ended next year will have to be seen. Next year will see two major attractions at the resort The Phantom Manor and Big Thunder Mountain go into rehabilitation at the same time, which will seriously effect Frontierland, and will see increasing waiting times at the parks other E-ticket rides. Will Guests avoid visiting the park during this period, I guess we will just have to wait and see. Hopefully Disneyland Paris can continue the increase in visitor numbers into next year. BURBANK, Calif. – The Walt Disney Company today reported quarterly earnings for its third fiscal quarter ended July 1, 2017. Diluted earnings per share (EPS) for the quarter decreased 5% to $1.51 from $1.59 in the prior-year quarter. Excluding certain items affecting comparability(1), EPS for the quarter decreased 2% to $1.58 from $1.62 in the prior-year quarter. Diluted EPS for the nine months ended July 1, 2017 decreased to $4.55 from $4.63. Excluding certain items affecting comparability(1), EPS for the nine months increased to $4.63 from $4.61. “Our results for the quarter reflect the underlying strength of our brands and franchises, and our continued investment in high-quality content. Our ability to successfully execute on our core strategy, coupled with our plans for new direct-to-consumer offerings, give us continued confidence in our ability to drive shareholder value,” said Christine M. McCarthy, Senior Executive Vice President and Chief Financial Officer, The Walt Disney Company. Parks and Resorts revenues for the quarter increased 12% to $4.9 billion and segment operating income increased 18% to $1,168 million. Operating income growth for the quarter reflected an increase at our international operations, while results at our domestic operations were comparable to the prior-year quarter. Segment results benefited from the timing of the Easter holiday, which fell in the third quarter of the current year compared to the second quarter of the prior year. New Club Actionnaires membership cards to be distributed in September. Le Club Actionnaires at Disneyland Paris will commence the distribution of new membership cards which will be valid for 10 years to all existing members of the shareholders club in September 2017. The Shareholders Club office will close on 30 September 2017 and the Cast Members from the department will be assigned to other posts. A Cast Member from another department (Annual Passports Office or from Communications) will then be assigned to deal with any problems related to the new cards, and the replacement of lost cards and general membership issues.